Information Articles - O.i.i. Awards Brian Hill Memorial 4 H Scholarship - Ownership Identification Inc.
Kamloops, BC - The board of directors and staff of Ownership Identification Inc. (O.I.I.) are proud and honoured to award the Brian Hill Memorial 4-H Scholarship to two deserving individuals. Tegan McArthur of Armstrong and Bhreagh Farquharson of Barriere are the recipients for 2010, each to receive a $500 scholarship bursary. Tegan McArthur is enrolled at the University of Calgary and will begin her studies in the fall of 2010. McArthur has been a member of the Armstrong 4-H Beef Club for nine years completing numerous project and holding various executive positions. In 2010 McArthur was awarded as Senior Ambassador in Denver, Colorado while attending a 4H international conference. Bhreagh Farquharson will be attending Thompson Rivers University this fall. Farquharson's extensive 4-H experience includes 8 years as a member of Barriere 4-H clubs. Along with holding club executive positions, Farquharson has participated in many 4H provincial demonstrations receiving judging awards and project and program recognition pins. "These two 4-H members are very deserving of the scholarship," says Bob Miller, General Manager of O.I.I. "They are active members of their 4-H clubs, participating in numerous club, provincial and national 4-H events, as well as extensive community involvement. We are privileged to be able to assist our province's youth continue their education in the agriculture field." This annual scholarship opportunity, available for BC 4-H members, was named in honour and recognition of former O.I.I. 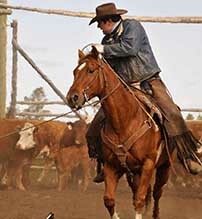 president and fellow cattleman, Brian Hill, who passed away suddenly in July 2008. "We are proud to be able to honour Brian Hill through this annual memorial scholarship," says Bob Miller. 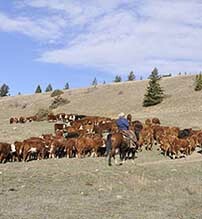 "Brian was a strong advocate of the cattle industry and youth involvement in agriculture. This scholarship will assist BC youth wishing to pursue their education in their agricultural pursuit." The Brian Hill Memorial 4-H Scholarship is open to BC 4-H club members graduating from high school and continuing their education in the agriculture industry or a related field. Two $500 scholarships will be awarded by O.I.I. annually. More information and application forms for the Brian Hill Memorial 4-H Scholarship can be found at www.ownershipid.ca. O.I.I. wish to thank BC 4-H Council and Sharon Hill and families for their cooperation and support of this venture.